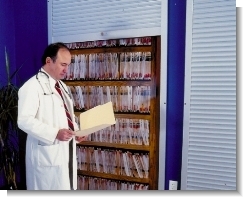 In 1996, Congress passed the HIPAA Compliant Act which creates national standards for the protection of personal medical records and other personal health information. 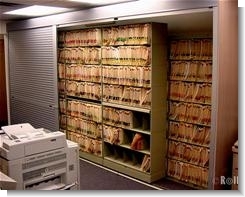 This act�requires physical safeguards�to block�access into medical records. 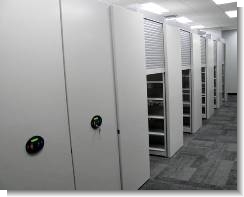 To comply with this legislation, the needed physical deterrent for medical file security can be provided with the installation of locking aluminum tambour doors. 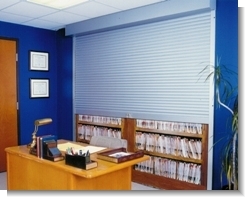 These shelving security�doors provide visual and physical stoppage to�deter medical identity theft.� During office hours, these lightweight security shutters roll up out of sight requiring no footprint for floor space. 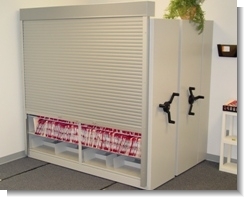 This�rolling security door system is quick and easy to operate, because of the built-in balanced torsion assist spring. 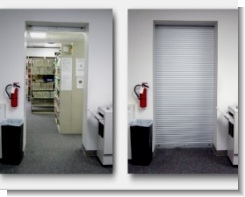 Entryways into sensitive information areas can be closed off using security doors. 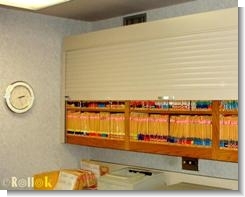 By installing this type of door security an entire room or entire storage area can be locked and sealed. 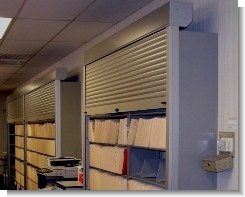 Cased openings can be closed � customer hallways containing open shelving can be closed by using locking security shutters. 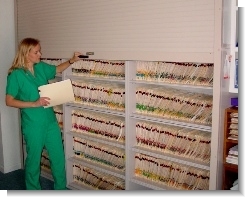 Storage of individual folders containing sensitive personal information can be accomplished with various brands of shelving. Some popular manufacturers of shelving are Spacesaver, Richards-Wilcox, Aurora, Montel, TAB Products, Tennsco, Rousseau, Ames Color-File, Jeter, Borroughs, Hamilton Sorter, Amscor, Denstor, RiveTier, Equipto, and Spacefile. 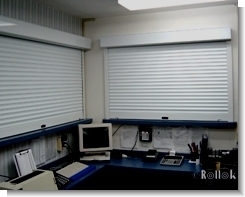 Rollok Rolling Doors has the design knowledge that adapts to each of these individual manufacturers.� This design knowledge, and the appropriate manufacturing of each unique part for that door design, provides a clean, aesthetically pleasing final installation.